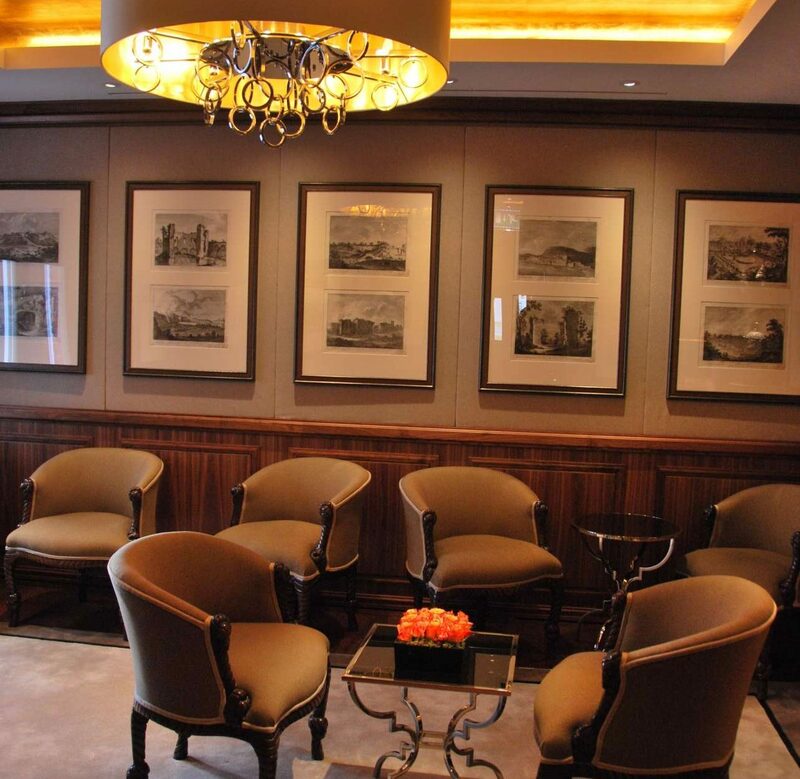 We manufactured bespoke light fittings for the public areas of the St James’s Hotel and Club as part of the refurbishment programme directed by leading German interior designers AMJ. With the emphasis on sophistication, relaxed luxury and attention to detail, the lighting concepts designed by AMJ form an intrinsic part of the indulgent feel of St James’s Hotel and Club. Working in partnership with London based Lighting Design International, we produced stunning fittings incorporating sumptuous materials and eye-catching features to complement the subtle palette that was used throughout St James’s Hotel and Club. 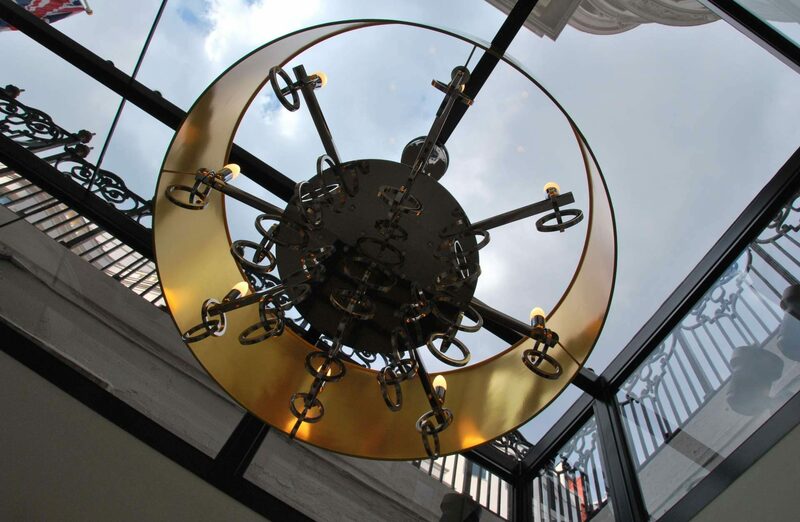 In the restaurant guests enjoy food prepared by Michelin starred chef William Drabble under our pendant fittings which comprise hundreds of stunning geometric chrome hoops. 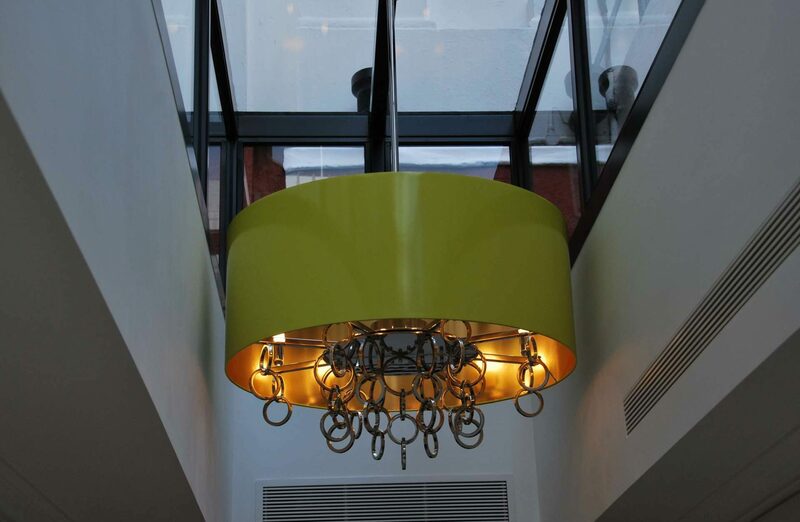 In the main stairwell a crystal and fabric fitting over one metre in diameter not only looks spectacular, but has also been manufactured to conceal the obligatory emergency lighting without spoiling the ambience. In addition we also produced crystal and chrome wall lights for the corridors and powder rooms.